This entry was posted in Skip Allen & Painter 12 and tagged Skip Allen, Wacom Intuos driver update. Bookmark the permalink. Hey Francine…so glad to hear from you. 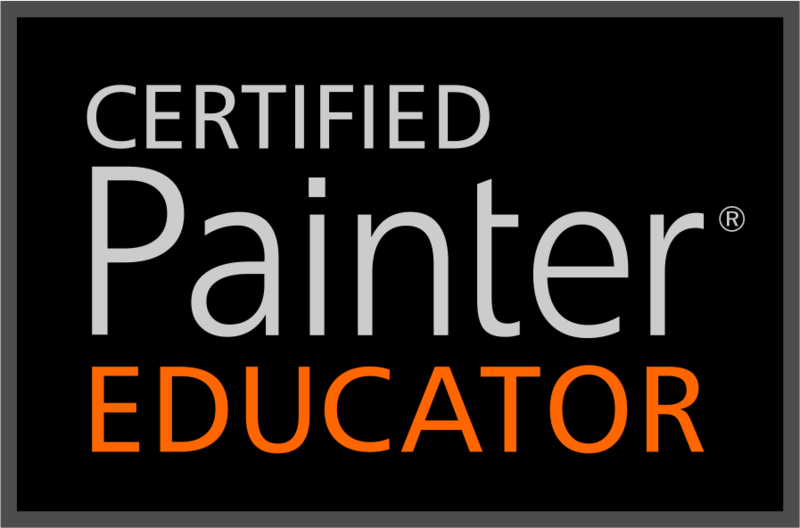 Where have you been lately…are you going to be in Karen’s new Painter Focus class? I am. Also, if you want to save your tablet Preference settings BEFORE you delete your current driver, go to the “Wacom Tablet” folder (in your Applications folder), and there, open up “Wacom Tablet Utility.app”. With that app, you can save your current Prefs to a temporary location on you computer; then delete the driver. Then install the newest driver (WacomTablet_6.3.2-4; not to be confused with the June-released 6.3.2w4). After installing the new driver, got back to “Wacom Tablet Utility.app” and click “Restore” (locate the Pref file you saved) to restore your tablet Prefs. THANK YOU Skip, for the above information! CLARIFICATION: Using the “Wacom Tablet Utility.app” — after you click the “Backup” button to save your current tablets Prefs, then, to delete the driver, click on the Tablet Software button, “Remove.” That will remove your current Prefs as well as your Tablet Software (the driver). Then, when you install the new driver (that you downloaded), it will replace your Tablet Software (including the new driver). THEN, go back to “Wacom Tablet Utility.app” and click the “Restore” button for your Prefs. I probably should add this to the post itself, but I am hoping your comments will be sufficient. I am not sure if it particular to this July update or the June update but the gestures are much better. On my Intuos5 (With a extra sheet of acrylic on top for smoother action and no nib wear so far.) gestures one handed no longer work, but a finger from left & right hand either close together or far apart result in canvas turning and zooming simultaneously respond smooth, fast and accurate. This makes them worth leaving on. And I look forward to this more natural way of moving about. Skip I have viewed your Flow Map videos and will likely view them again in just a couple days. I have thought of a few ways this would be very useful in oils but so far have not had much luck other than changing the sub-category of the three new flow brushes in Real WC to wet oil. Perhaps you can find some time to show flow in oil some love in your next webinar. LOL…I suspect we can show a tiny bit of love to the real wet oils. Glad to hear the update seems better. I hope all find that so.